Combined GPU/RAM/VRM-cooler for graphics cards of the type nvidia GeForce GTX 680 with 2048 MB RAM according to reference design. 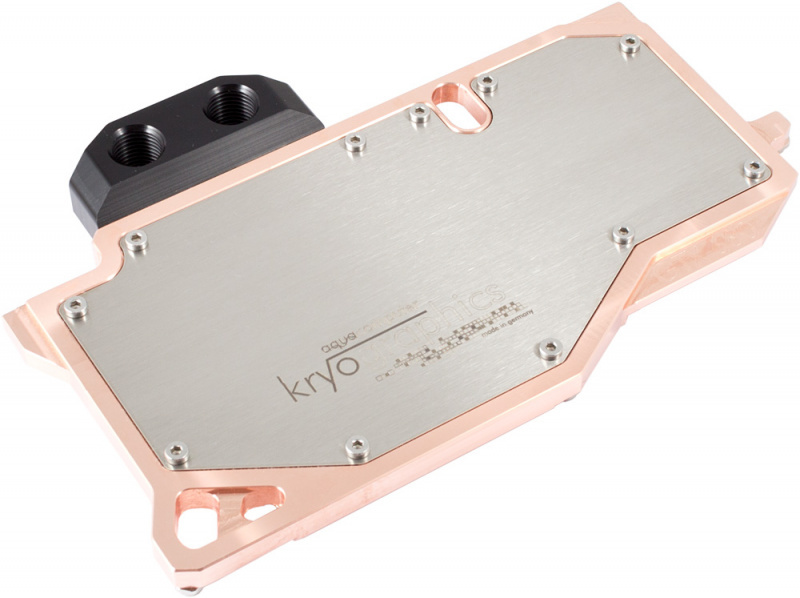 The kryographics for GTX 680 water block offers outstanding cooling performance and a low flow resistance. All mounting threads are equipped with spacers for easy installation and to prevent twisting the graphics card. 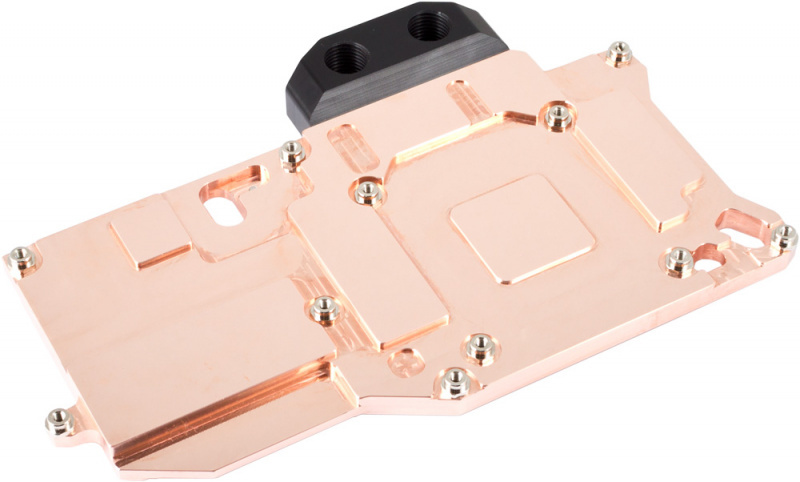 The areas contacting the GPU and RAM modules are polished for excellent heat transfer. For the voltage regulators, a thermal pad with high thermal conductivity is included.